Due Date: Our due date has been bumped to January 11th. Our doctor gave us a brief game plan at our 27w appointment. Ryker and Averlee will be born around 36w4d. Basically, we will be holding our miracles sometime between December 16th and Christmas Eve. Oh. My. This pregnancy is almost to an end and our sweet little miracles will be in our arms quicker than I can get my house clean. Weight Gain: I gained 4lbs between my 23w and 27w appointment. Not too bad considering I have had a really insane craving for all things sweet and delicious the last month or so. Maternity Clothes: It is all I wear! 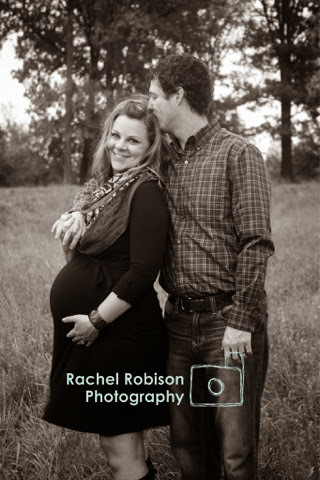 I’m praying this crazy, warm Tennessee “fall” weather moves on out soon so I can wear my fall/ winter maternity clothes. My summer clothes are really, really, REALLY snug and becoming uncomfortable. Sleep: What’s that? I sleep in spurts. Very, very short spurts. I need a nap halfway through the day (Hello 3rd trimester lack of energy), but since I’m still working full time…. naps are not possible. Best Moment This Week: We had SEVERAL! Our maternity pictures turned out AMAZING! We could not be happier with them! I’ve posted some sneak peeks below. I had my first baby shower last Sunday. It was a shower at our church so it was extra special to celebrate our little miracles with the people who have prayed and believed with us for so long. 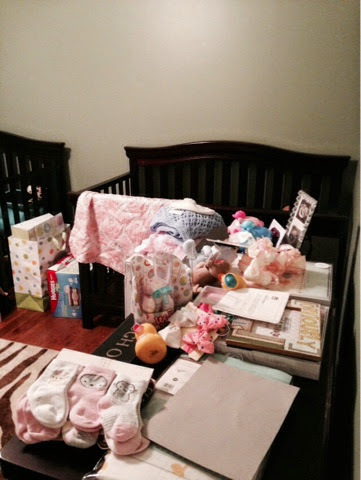 We received so many adorable gifts! One of our favorites is our twin pack-n-play! We had registered for it even though we never imagined someone would actually buy it for us since it was almost $200.00. We were wrong. Someone bought it for us! 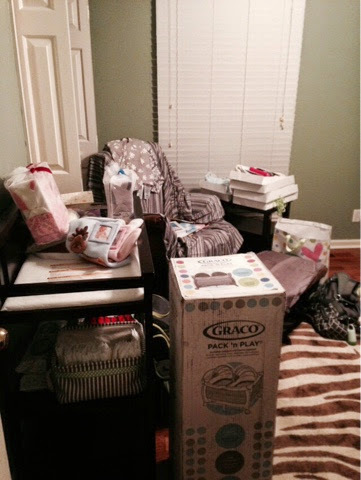 We plan on having the pack-n-play in our room when the babies first come home. They will sleep in the bassinets for the first few weeks until we are on somewhat of a schedule. I passed my 3 hour glucose tolerance test! I failed the one hour test and had to have the 3 hour test a few days later. I’m so very thankful I passed! Weird Pregnancy Moment: Nesting is real. I have been known to get down on my hands and knees and SCRUB the floors with a sponge and soapy water the last few weeks. Yes. Me. 7 months pregnant with twins. I have scrubbed the floor. I have also been obsessed with throwing away a lot of stuff we (a) do not have room for and (b) just stuff I don’t want anymore. Basically I’m a in overdrive when it comes to cleaning this house and getting ready for Ryker and Averlee to arrive. Movement: All of the time! You can even see some of their punches and kicks from the outside now. No need to touch my belly! They will put on a show for you as long as you stare at my belly long enough! Symptoms: Growing belly, nasal congestion, frequent trips to the bathroom, increased appetite, round ligament pain, pelvic pain, pregnancy mask, swollen ankles and feet, shortness of breath, heartburn, and Braxton Hicks contractions (ouch!). Cravings/ Aversions: Still drinking a lot of milk. I still love all things pumpkin spice. I also have an appreciation for fountain Coca-Colas. I limit myself to 1 per week though. Anything Make You Queasy: Not eating when I get hungry. What I’m Looking Forward To: I have another shower next Sunday. This shower is being thrown by my best friends since childhood. I’m so excited to see everyone and celebrate Ryker and Averlee. I’ve seen the invitations so I know my friends have a super cute party in store for me! This week also begins my every other week OB appointments. I cannot believe we are in the 3rd trimester and our babies will be here in at least 7 weeks. My oh my how time has flown. I’ll leave you with a few pictures…..
Photo credits to Rachel Robison. 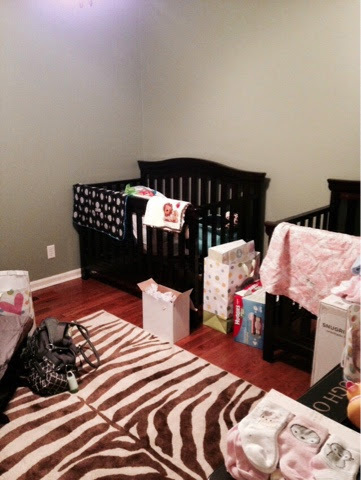 Sneak peek of the nursery and all of our shower loot! Beautiful pic. So many goodies ready to go for the big day. Getting so ready and so close now! Yay!! You look amazing!! January will be here before you know it! what a great christmas present! glad things are going well. 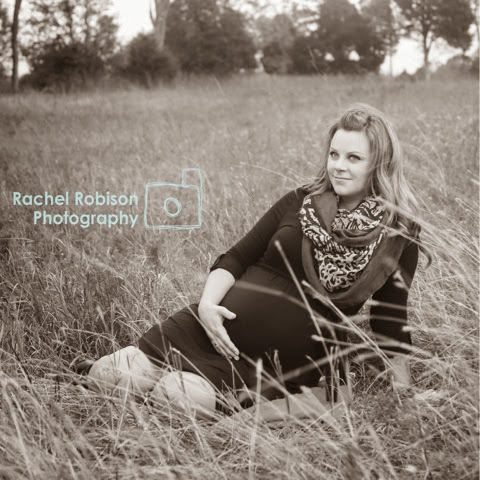 beautiful maternity pics! Love your photos, just precious!! Averlee had her first haircut over the weekend compliments of Meemaw! bethkari on I’m a Failure. Amie on I’m a Failure. out with the old… on Hold Please.